That Joe Payne (Ex The Enid) joined Höstsonaten on the stage of Z-Fest 2018 for a moving version of “The rime of the ancient mariner, part 3”. Finally, at 10:45 pm, HÖSTSONATEN will perform a long anthological set celebrating the group’s 20-year recording history. With a big line-up on the stage, practically a symphonic rock orchestra, the group will look back over some of the most exciting pages in the history of this project created by Fabio Zuffanti in 1996, with the participation of surprise guests adding to the attractions of the evening’s packed programme. Höstsonaten “Symphony # 1: Cupid & Psyche”, available on CD and LP from April 8 on AMS Records. For sale in a special limited edition at the Z – Fest! il nuovo Höstsonaten “Cupid & Psyche” uscirà l’8 aprile, in cd e vinile per AMS Records. MA si potrà già acquistare (in edizione speciale limitatissima realizzata appositamente per l’evento) il 1 aprile durante la Z – Fest! The new Höstsonaten “Cupid & Psyche” will be released on April 8, in cd and vinyl AMS Records. BUT you can already buy it (in a special limited edition specially made for the event) on April 1 during the Z – Fest! Höstsonaten new album + new member! Höstsonaten is a project that italian progmaster Fabio Zuffanti lead from 1996 composing all the music and choosing each time the appropriate musicians. 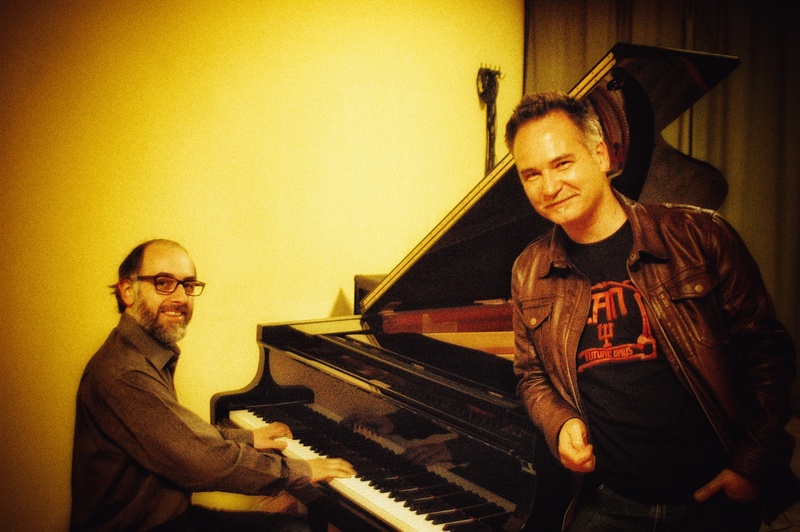 From 2015 things change, Höstsonaten is no longer only Fabio Zuffanti but a duo in “co-management” with Luca Scherani (of La Coscienza Di Zeno) that lends from years his service as keyboardist, arranger, coordinator, etc…. On may 13 Zuffanti, Scherani and a large group of guest musicians will start recording the new Höstsonaten album entitled “Symphony # 1: Cupid & Psyche”. It will be a suite for band + orchestra that will lead Höstsonaten music towards an even more symphonic and majestic sound, with the electrical output of a band of star players. Stay in touch!